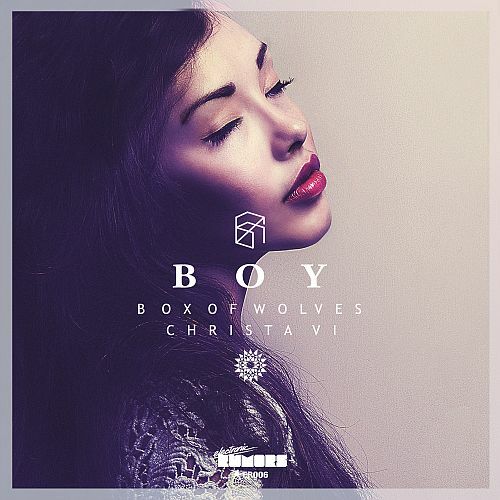 Chillwave future-star Box Of Wolves has teamed up with the London singer/songwriter who’s name is on everybody’s lips, Christa Vi, for the release of ‘Boy’, a blissful slice of electronic Pop that you’re going to be hearing a lot more in 2013. Combining Box Of Wolves’ hazy synthesizer DreamPop sound with Christa Vi’s smokey voice, as she delivers an emotional and relatable refrain, was a stroke of genius. Bringing together the worlds of nostalgic analog synth music and thoughtful IndiePop with fantastic results. With a lead track destined for the radio and reMixes that will be packing dancefloors in the coming months, ‘Boy’ is sure to be many music fans’ soundtrack to the summer. Backed with a storming, Funk fuelled, Nu-Disco reMix from Toronto’s Cyclist and an ethereal slow-House workout from Tongan producer Summer Occasion, the ‘Boy’ single offers a catchy soundtrack to any mood. Box of Wolves is a hybrid 90’s Summer Nostalgia/ChillWave/SynthWave music project nursed by The Venom Blog’s Gabriel Akinrinmade out of the whims of his sundry synth modulator experiments. Highly reminiscent of the sounds of Teen Daze, Com Truise, and Washed Out, Box of Wolves, even to bottom-tier music aficionado, runs like a non-obnoxious transcendental LSD alt-party set list. It’s equal parts chill, equal parts solid, thanks in part to basic, but grippingly steady, beats. Christa Vi is an Australian/German Singer Songwriter, based in East London. Inspired to sing and write music by life’s hard knocks, long plane journeys, London’s noise pollution, overheard snippets of conversation, the inner pain & beauty of others and a slight fear of losing that feeling. With one foot rooted in folk, the other in indie-pop, Christa writes catchy melodies that translate across genres and have worked their way into Nu-Disco remixes by artists such as Russia’s Cosmonaut Grechko and Switzerland’s Show Your Shoe. Her love of synth and electronica has led to collaborations with electronic artists including Sydney’s Coupons. Christa Vi’s independent single releases have so far received support from Tom Robinson on BBC6, AmazingRadio, Resonance FM and indie & student radio stations around UK, USA and Australasia. She is currently working on her début album, enlisting the production skills of George Shilling (Coldcut, Yazz, Teenage Fanclub, Primal Scream). ‘Boy’ has been given a couple of diverse dancefloor workouts by Canadian Nu-Disco rising star Cyclist and Tongan Electronica producer Summer Occasion. Bringing infectious beats and dreamy synths to an already Funk fuelled track.